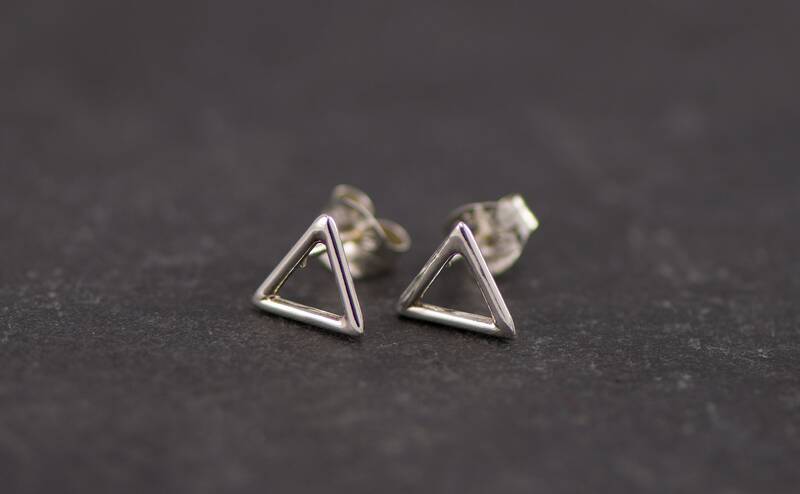 These are simple sterling silver triangle studs with geometric lines. 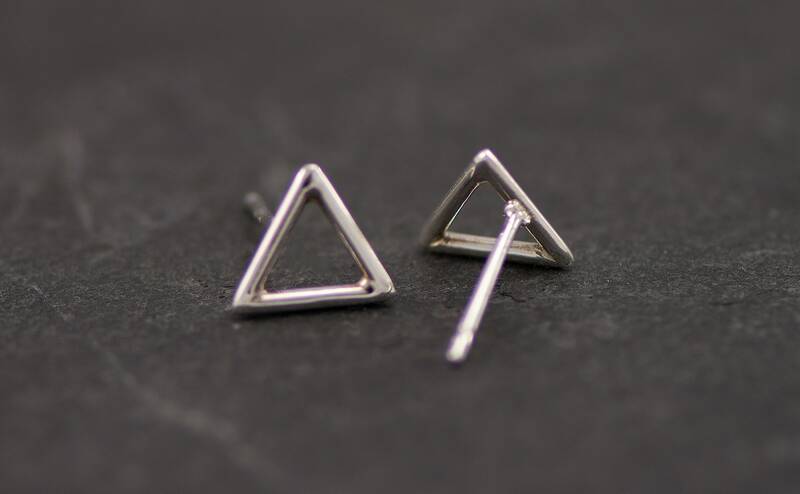 The triangle post measures approximately 1/2" in width. 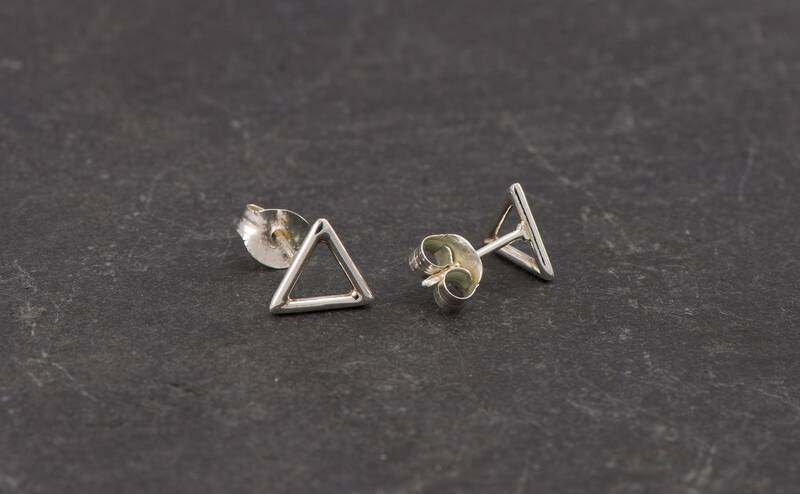 The earrings come with sterling silver ear-nut backs. 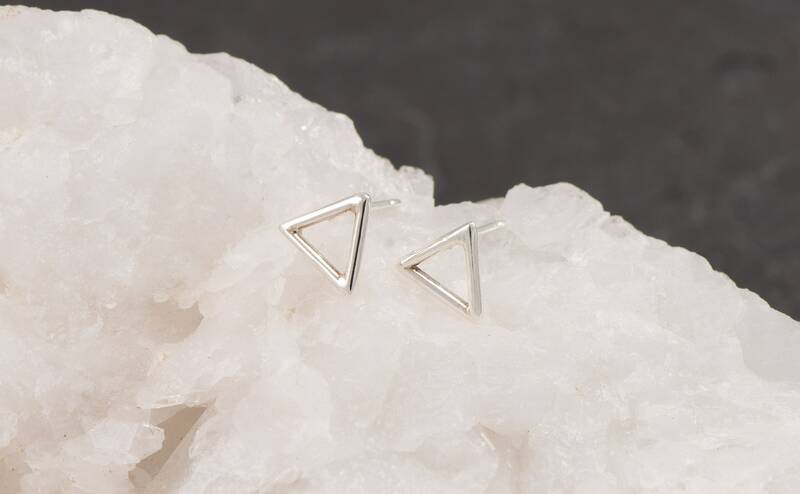 Simple Modern Minimalist earrings you can where all day every day! 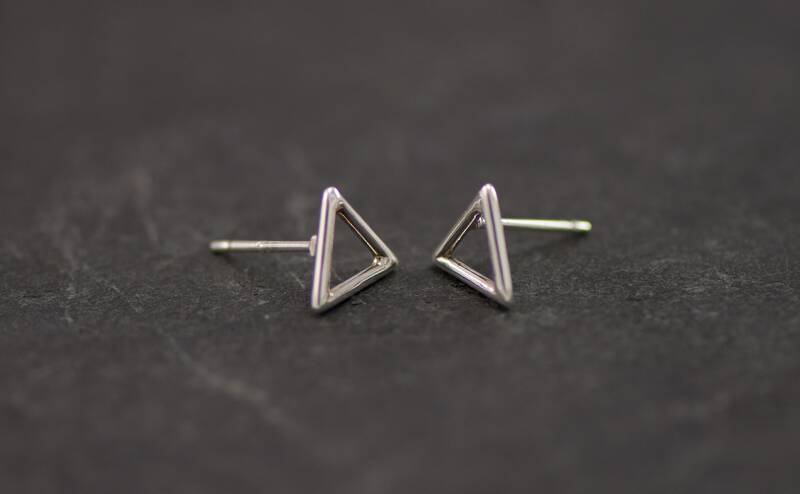 Great everyday pair of earrings! 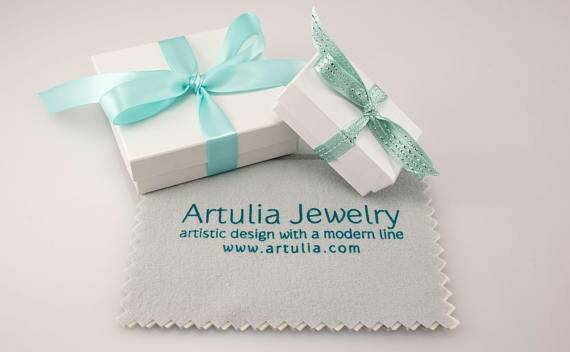 Very modern looking!